Yara Shahidi attends the Teen Choice Awards 2017 at Galen Center on August 13, 2017 in Los Angeles, California. 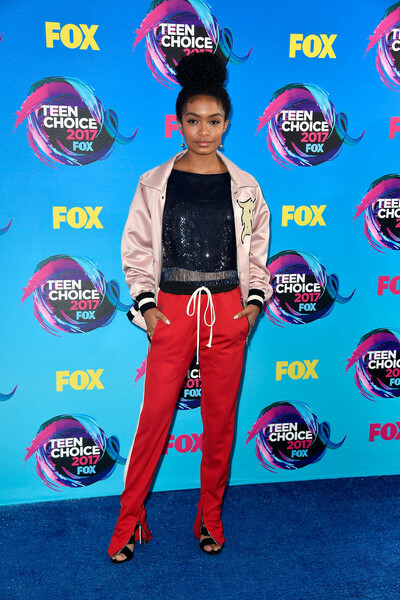 Yara Shahidi went the sporty route in a pink track jacket by Fear of God at the 2017 Teen Choice Awards. Yara Shahidi teamed her jacket with red track pants, also by Fear of God. Yara Shahidi balanced out her casual jacket and pants with a dressy top by Libertine.